A friendly bunch of people, those Ultimate owners are! 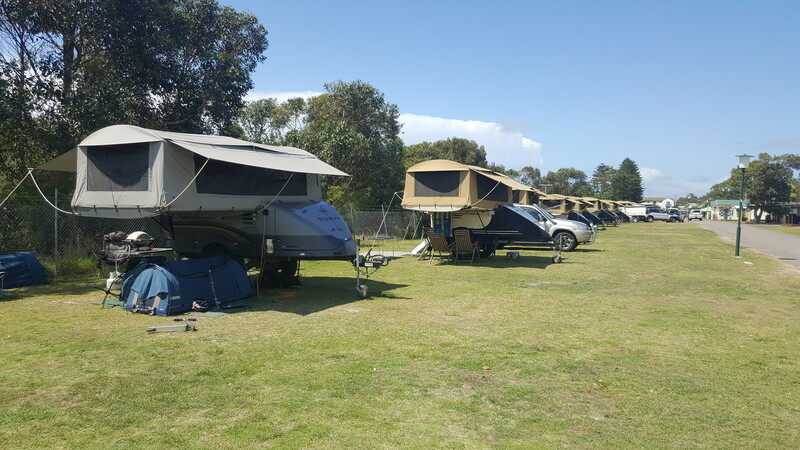 Around once a year, an Ultimate ‘muster’ is organised by one or more enthusiastic Ultimate owners, to allow us all to get together, compare campers, and generally just have a great time. 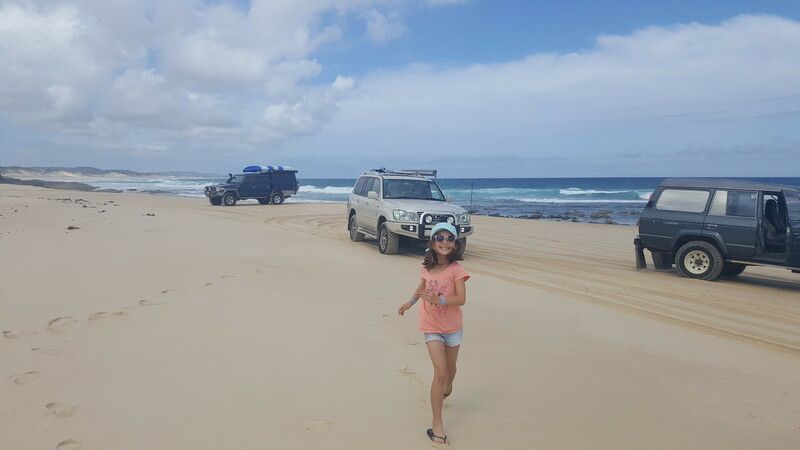 When we found out that the NSW muster for 2016 was only going to be a couple of hours or so up the road, we thought we’d check it out to see what all the fuss was about. An early getaway from work on Thursday (and a long service leave day on Friday!) meant we were out of Sydney and on the M1 heading north relatively painlessly. Daylight saving had well and truly arrived, so a little over 2.5 hours later we were pulling into the caravan park, past a row of Ultimates already set up, and getting our site organised. Once ready we made our way to where everyone had gathered for drinks and met a whole bunch of people. Some of them we even remember their names! All of them very friendly and accommodating. We met David and Tony very quickly, as well as David and Rhonda, who were our immediate neighbours for the weekend. Somewhat fittingly, Thursday night was our 100th night in the camper. Surprisingly, this equates to about 1 night in every 4 over the last year and a bit spent in the camper. Not bad going considering we both work full time with 2 kids! We might not be able to maintain this over a longer period of time, but we absolutely love getting away, and the Ultimate has just made it so much easier than it was. Friday was a fairly quiet day. We went for a look around in town, in between rain showers, and did a little bit of exploring. We grabbed some fish and chips for lunch to take back to the park. Early in the afternoon the clouds cleared and we enjoyed some relaxing drinks with David and Rhonda before heading across to the Golf Club with everyone in attendance for dinner. Ella and Lucas were the only kids at the muster and they were super well behaved. 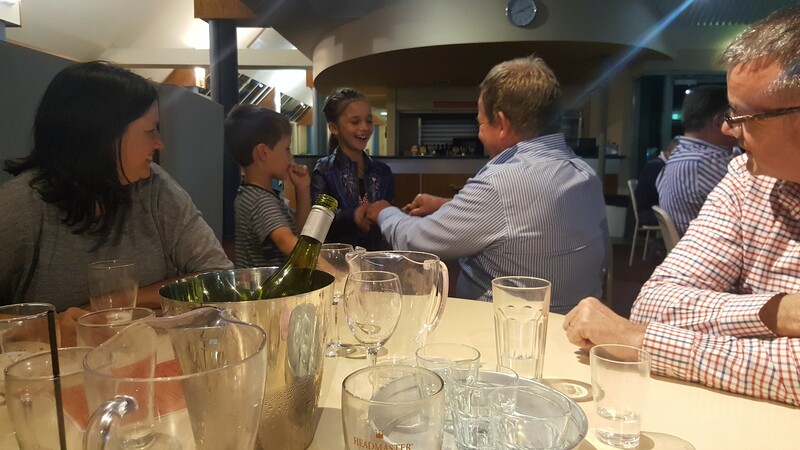 We sat with David, Rhonda, David and Tony for dinner, and we must thank them for entertaining the kids so effectively for the entire evening. Tony and David even took turns at playing Connect 4 with the kids – even being gracious enough to let the kids win (or maybe they were just beaten!). Saturday was a beautiful day. We went into town again to the Myall River Festival, which was a whole heap of markets and festival-ish types of activites happening by the river. It was really nice and had a great vibe to it. 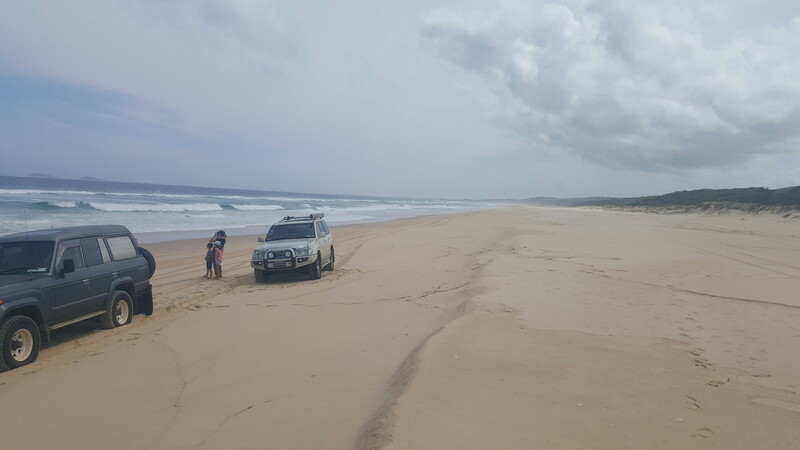 After lunch a group of us went for a drive on the beach at Mungo Brush. The sand was surprisingly soft which caught a couple of our number off guard and necessitated a quick extra spot of ‘airing down’ before continuing our way along the beach. 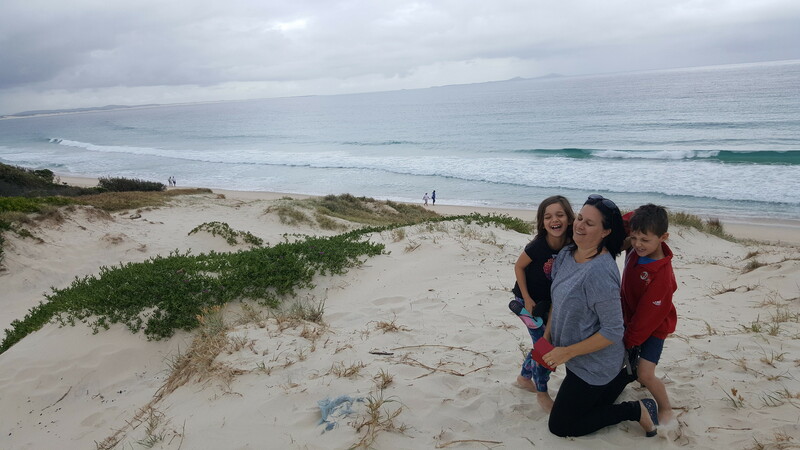 We stopped a couple of times along the beach, once to spot some whales on their southern migration. We had only just got back into the car after one of these such stops when Ella starts screaming from the back of the car. After my hearing returned, she pointed out a pod of dolphins who were playing in the waves, only about 15 metres from shore. It was a beautiful sight as you could see their silhouettes through the breaking waves. No photos unfortunately – we enjoyed the moment. Saturday night there was a big BYO everything gathering back at the park. This was a whole lot of fun and the kids even got to do some “trick or treating”. Ordinarily we really don’t get into Halloween, but a few of the attendees had gone to a bit of effort – so we allowed the kids to visit them, much to their joy (and benefit!). We were camped quite close to the meeting point, so once the kids were in bed, we came back and enjoyed the festivities a while longer. Our camper, in a row of Ultimates as far as the eye can see. We were one of 36 over the weekend. Sunday morning dawned beautifully before a very slow and relaxing pack up. Chatting with plenty of people along the way, we eventually left at about 11:30. We had a great time and met some new friends. Many of the attendees (there were 36 Ultimates there in total) were then continuing onto the Victorian muster, to be held the following weekend. The kids must have had a pretty good time, as they wanted to go too and not go back to school on Monday. Maybe next time. Our thanks must go to Andrew and Jan for their organisation of the event. Rach and I remarked that we had an extremely relaxing weekend (the extra day helped!) – yet seemed to do a whole lot at the same time. The late nights did mean that we were a little shattered on Sunday night. Camping is normally early nights for us! We’re looking forward to the next muster we can attend.